MSU trash baskets are installed in front of inlet sewers. The basket travels on permanently installed guide rails. 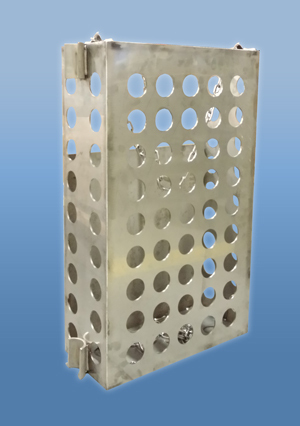 When the basket requires emptying, simply connect the basket chain to your davit, monorail or hoist and raise the basket to grade so that it can be emptied.